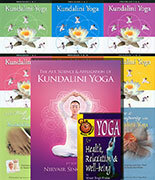 The Path of Practice is filled with illuminating insights, easy-to-follow recipes, and meditations and exercises that can be adapted to different lifestyles and traditions. It contains one of the only holistic programs designed for women by a woman. Imbued with the spiritual strength and centeredness of its remarkable author, here is a practical and profound book you will turn to time and time again for instruction, wisdom, and peace of mind. "We are wellness. We are consciousness. That is our natural state. Disease is an imposter." Bri. Maya Tiwari offers a short course in healing and living, and in the process reveals how she has gone back to the sources of Ayurvedic wisdom to reclaim time-honored, natural, and spiritual techniques for contemporary life. As one of the world's only female experts on the ancient Indian tradition of Ayurvedic medicine, this renowned teacher has devoted her heart and soul to sharing the philosophy and methods that saved her from terminal cancer and redirected her life. In The Path of Practice, she instructs you in living life consciously in the present moment, so that you can recover your natural rhythms and align yourself and your inner cycles with the universe. With particular emphasis on using the primordial feminine healing power of Shakti - which everyone possesses - she leads you through the daily practice, or sadhana, of a three-part wellness program that includes nutrition and cooking with whole foods, breath work and meditation, and chanting with healing sounds. Encouraged by Bri. 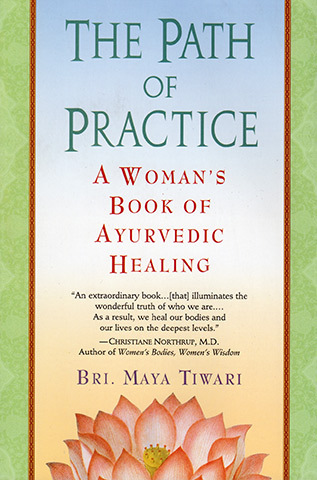 Maya’s inspirational stories, and those of others who have made these simple but powerful practices an integral part of their lives, you will learn how to take charge of your own health. Through her unique philosophy and practice of "cosmic memory", you will discover your own personal body wisdom and intuition, your singular mission in the world, and your connection to the divine within and around you. Born in Guyana to Indian parents (her father was a Brahmin priest) Bri. Maya Tiwari moved to the US to become a New York City fashion designer. Diagnosed with ovarian cancer at the age of 23 she was given only 2 months to live. She beat her cancer through intensive meditation and holistic nutrition, and today devotes herself to teaching the wisdom practices of the Vedas.